The shareholders of Solstice Luxury Destination Club are delighted to offer to the members of the club a unique experience at the beautiful seaside nature sanctuary retreat on the North Island of New Zealand, a secluded estate of over 740 acres. Dedicated to conservation and restoration of ecosystems, Tahi - a Global Ecosphere Retreats® certified Long Run Destination - strives for the highest sustainability standards through a balance of community development, cultural stewardship and biodiversity conservation. For those with special interest in bees or apiculture, you can experience the work of a beekeeper, understand the inside of a hive and watch the nature’s workers in action. Bee-keeping suit and gloves are provided! Then have a private tour of the honey processing facility and the opportunity to learn more about the technical aspects of honey. Complete the day by tasting the various quality of Manuka honey at the Café. Immerse yourself in hundreds of acres of tranquility at the edge of the Pacific Ocean where all you can hear is birdsong and the soothing sound of the surf. 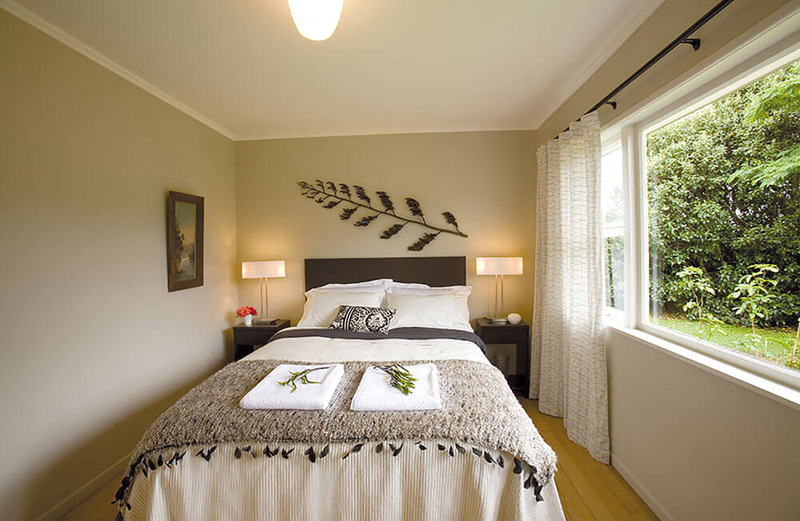 Relax, restore, connect: this is what you can experience in this small paradise in the North of New Zealand, a full immersion in the nature with all the comforts of luxury accommodations. Mara is a four-bedroom bungalow equally suited to families or couples. Light and spacious, it is a natural heaven surrounded by sub-tropical gardens. The beach is easily reachable through the private park. Small and cozy, Tara is simpler than Hiwi and Mara, but equipped with all the usual kitchen facilities. With a fresh, relaxed feel, it’s full of character and lies close to the beach, making it the perfect place for families. Tahi Nature Reserve offers a wide range of outdoor activities: biking, hiking, exploring the private parkland by our own or with skilled guides, surfing at all levels, aquatic entertainment and many other places in the surroundings to visit or where to find further activities. Or simply relax and enjoy the peaceful atmosphere - reconnecting with the nature to tone your body and mind. Soak up the atmosphere of this landscape by biking, hiking up hills, taking in the sweeping views or exploring the remains of the fortified Maori village. Walk in the peace of your own company or let one of our experts guide you, recounting the myths and legends that surround the private parkland of Tahi. What can beat waking to the sound and smell of the ocean? Barefoot walks on the beach, breathing the pristine, salty air can be just the tonic for those escaping the harried pace of modern life. The serenity and sensory pleasure of Tahi’s cool temperate forests, allow you to reconnect with nature. Our Pacific Ocean surf beach attracts visitors from all over the world. Beginners can take their first lessons while the more experienced can hone their skills with our expert instructors. And there’s plenty of aquatic fun to be had for those not wishing to surf. Tahi provides an ideal base from which to explore some of the North Island’s diverse landscapes and rugged coastline. There’s a host of sports and activities on offer and we can help build a programme that is tailored to your preference and pace. Tahi’s honey is not just about honey, it’s about ecology, intention and passion. It’s about making the right choices for your health, for the environment, for the community and for the bees. Tahi Manuka Honey is gathered from the flowers of the Manuka tree, a species found only in New Zealand. Unlike other honey, Manuka honey contains powerful antibacterial properties, making it extremely effective in treating a wide variety of health conditions. Used throughout history for its restorative and healing properties, it is only in the last decade that the modern medical establishment has begun to consider using Manuka honey to treat a number of skin and digestive ailments.